Utilities are faced with enormous challenges in deciding where to allocate scarce resources in the operation and maintenance of their infrastructure. Often when conditional data are presented, significant trends and/or potential maladies are hidden in endless tables and spreadsheets. 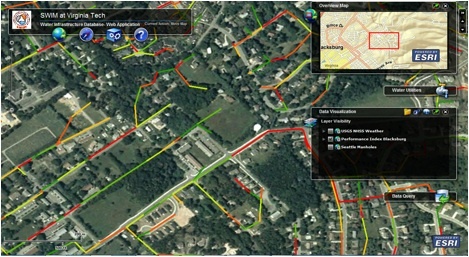 GIS applications enable decision makers to visually assess the state of the infrastructure in an agreeable, useful map format. Many different facets can be shown and manipulated, offering a powerful, data-rich platform for assessments from customer service to environmentally sensitive areas, risk planning, and many, many more.